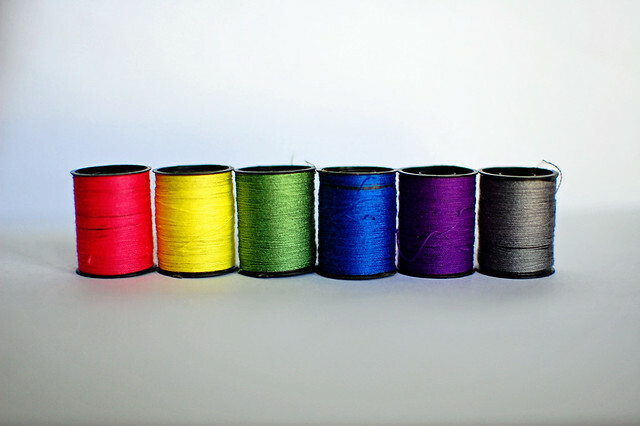 All but 4 people I know can sew. Or knit. Or crochet. Or convert a 1989 leg warmer to a nifty set of mittens. The ones who lack these skills can cook without a microwave, rebuild an engine, or write haikus about beauty pageants that will make you well up like a newborn. 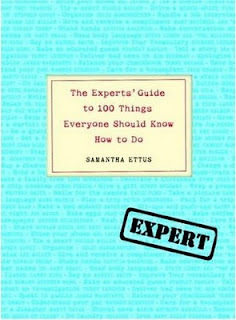 The Experts' Guide to 100 Things Everyone Should Know How To Do by Samantha Ettus. Let me share with you just 10 of the 67 things in this book I don't know how to do. 1. Perform Basic First Aid: If "basic" refers to 4 ibuprofen and a Snickers bar, then call me Dr. Jamie. 2. Drive a Manual Transmission Vehicle: I can only manage one foot at a time. 3. Deliver Bad News: I'm not your go-to on this one. I get uncomfortable with discomfort. Especially my own. 4. Travel Light: I'm typing this while in a hotel room at a work conference. I'll be at 2 gatherings in 24 hours. I packed 5 outfits and 5 pairs of shoes. As much as I think I will work out while traveling...I won't. 5. Select Good Produce: I just assume you should smell the item. As to what it should smell like...I'm out. 6. Handle a Hammer, Axe or Handsaw: This is why I have a father. And pictures hung awkwardly high on the wall to cover the first 3 hole attempts. 7. Do Push-Ups and Sit-Ups Properly: My muffin top has won this battle. And war. 8. Flirt: I practiced flirting this week after a lunch lesson from some guy friends. The observers' conclusion? "Jamie, you're going to need more low cut shirts." 9. Be a Respectful House Guest: I'm the snazziest hostess, but I will come and stay with you and sift through your medicine cabinet, try on your heels, and eat your fancy crackers. 10. Remove a Stain: Do I sometimes pretend the spot on a favorite piece of clothing just happened rather than admit I'm intentionally wearing stained clothing? That's ridiculous. Can you do all of these? What other things should you know how to do that you don't?